To satisfy the aims of the Regional Seas Conventions (OSPAR, Cartagena, Barcelona, etc. ), it is now necessary to network at this level. Such cooperation is an opportunity to come together to share common problems beyond national borders and drive new ideas internationally. The objective of the network is to improve the effectiveness of marine protected areas management in the Mediterranean. The MedPAN network today counts over 26 members, mainly managers of marine protected areas from the entire Mediterranean basin, and 16 partners that are keen to contribute to strengthening the network. These partners manage more than 30 marine protected areas and are working towards the creation of several new sites. Since 1990, the MedPAN network has sought to bring together the managers of Mediterranean marine protected areas (MPAs) and to support them in their management activities. A legally independent structure since the end of 2008 with a permanent secretariat since the end of 2009, MedPAN aims to promote the establishment and long-term operation of a network of marine protected areas in the Mediterranean. The Network was formed further to the recommendations of the first FORUM of the Regional Coastal and Marine Conservation Programme in West Africa (PRCM) held in Conakry in May 2004. The strategy gained strong support from the Governments, leading to a General Policy Declaration signed by 10 Ministers in charge of the environment and fisheries in 6 nations: Cape Verde, Gambia, Guinea, Guinea Bissau, Mauritania and Senegal. Following a lengthy process of studies and consultation between the MPA managers and the various bodies involved in marine and coastal resources management, the regional network of MPAs in West Africa, RAMPAO, was officially established by fifteen member MPAs at the Constituent Assembly on 16 April 2007 in Praia, Cape Verde. The network and forum of Carribean marine protected areas is a regional initiative to improve communication and skills in the Carribean region. CaMPAM was founded in 1997 within the framework of the Carribean environment programme (UN environment programme UNEP-CEP) and the specially protected area and wildlife protocol (SPAW Protocol) of the Cartagena Convention. Since then, the network has received the support of governments, foundations and experts. The initiative brings together MPA researchers, authorities, managers and academics. 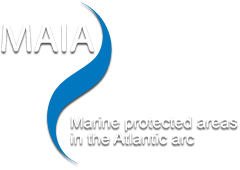 Je viens de consulter cette page, http://www.maia-network.org/homepage/related_initiatives/other_mpa_networks, je te la conseille.